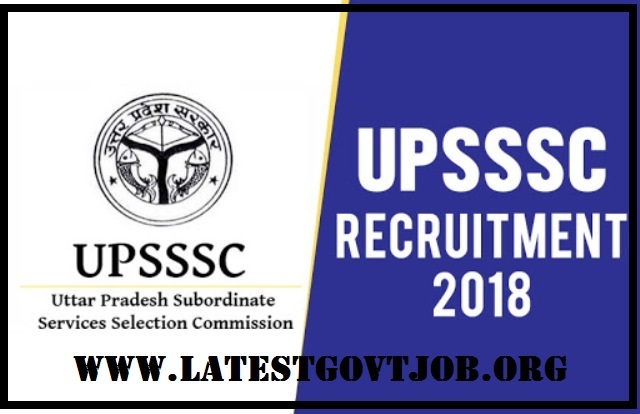 UPSSSC Recruitment 2018 - 1953 Gram Panchayat Adhikari and More @ upsssc.gov.in : Uttar Pradesh Subordinate Service Selection Commission (UPSSSC) has released a notification for the recruitment of 1953 Gram Panchayat Adhikari, Gram Vikas Adhikari and Samaj Kalyan Prayvekshak. Interested candidates may check the vacancy details and apply online from 30-05-2018 to 25-06-2018. Candidates should have passed 10+2 in any stream from a recognised board and must have CCC Certificate of NIELIT. All candidates have to pay application fee through SBI I Collect OR online mode using Net-banking/Credit or Debit Card. Interested and eligible candidates may apply online through UPSSSC website - http://upsssc.gov.in/ - from 30-05-2018 to 25-06-2018.